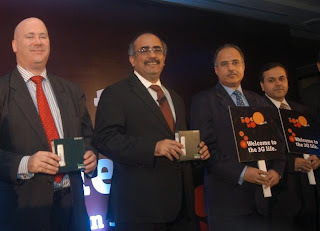 Tata DoCoMo had launched third-generation GSM telephony services dubbed as 3G Live in India last week. Now, the company has revealed the tariff details for Basic 3G Plans, Data Plans and even Voice+Data plans for consumers in nine Indian circles. Tata Docomo 3G services are available in all the nine circles where it has the 3G license-Karnataka, Kerala, Madhya Pradesh-Chhattisgarh, Rajasthan, Gujarat, UP (West), Punjab, Haryana and Maharashtra-Goa. All plans announced would be effective from November 10 in the aforementioned nine circles. Now let's take a look at different 3G Life plans announced by Tata DoCoMo. - Rs. 2000 Top-up for unlimited usage at 21Mbps till 15GB of download and then the speed drops to 256Kbps. Also, a typical Video Call would cost 0.66 paise per second which sums up to Rs. 3.96 per minute. We're sure you'd rather go for video chat over the Internet connection. Video calling is going to be a costly affair. Carefree Internet users who seek blazing fast browsing as well as download speeds without worrying about the bills should take a look at the Unlimited 3G Life Plans. High Speed 'Unlimited' 3G Data Card Plan for Rs. 2,000 has been announced wherein subscribers would get 15 GB of data usage at a speed of 21.1 Mbps and beyond 15 GB would be free 3G with lower speed of 128 kbps. Tata DoCoMo certainly is bit costly as compared to the BSNL 3G Plans available today. Now we shall wait for other mobile operators including two telecom stalwarts - Airtel and Vodafone to roll out 3G services and reveal their 3G tariffs in the country.